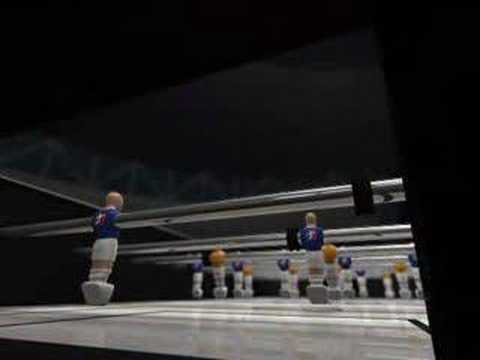 Just a short foosball animation I made in 3ds Max. 0:27 Min. Major project for a 3D subject. Trying to keyframe animate legs with inverse kinematics is horrible, I got a generous 100% for it though. 0:24 Min. 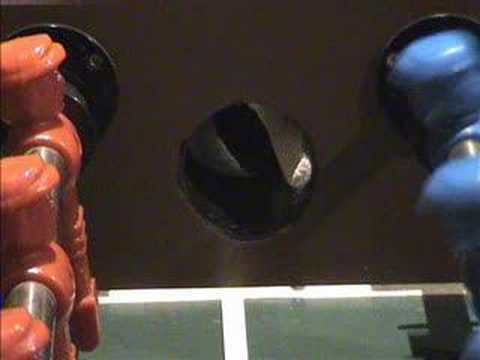 Quick peak at what was going on at CBO 2007 4:44 Min. 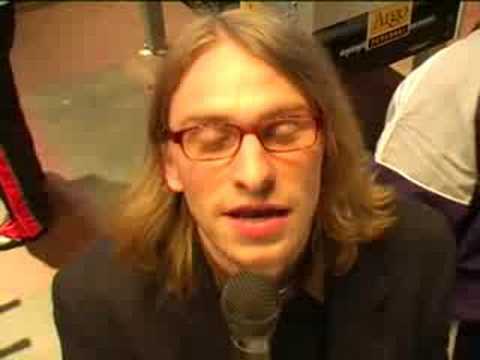 Die legendäre Szene 10:40 Min. 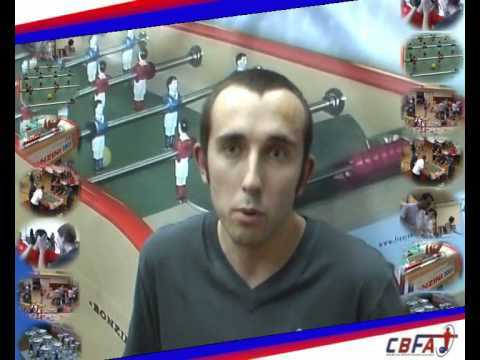 Adam Imanpoor one of the best Table Soccer Trickshot Players in the world 2:58 Min. 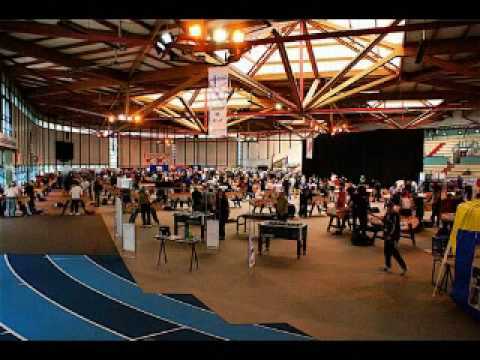 A walkthrough the tournament site in France at this year's Bonzini World Championship. 2:57 Min. 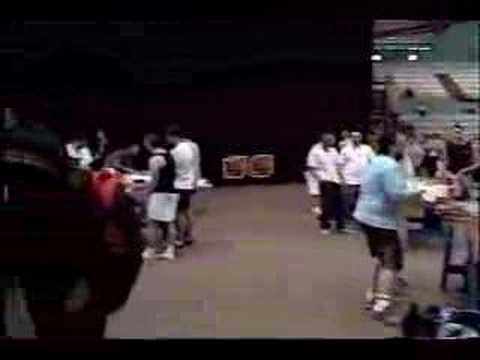 This is from the opening ceramonies from the 2008 World Cup in Eaubonne France. Jim Parris, Rebecca Terry, Bruce Nardoci, Billy Pappas, Jim Stevens, Ezekiel "Iceman" Moore, Mike West, Tom Yore, and Pat Ryan. 2:20 Min. Video about visit in Bucharest 4:51 Min. Chi sono i calcio balilla akkì?? 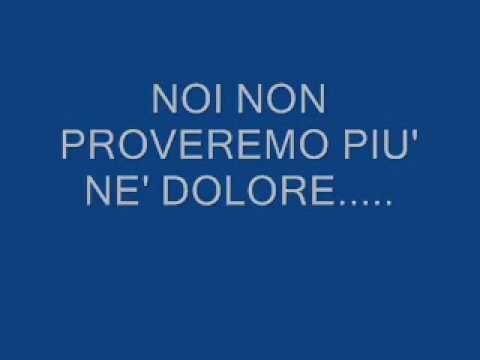 Il video rivelazione... 2:15 Min. 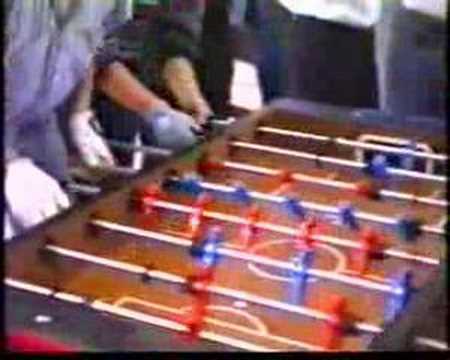 The China Open Table Soccer Champiopnships - Beijing, China 7:08 Min. uploaded by Project Foosblog 2:17 Min. Some of my favorite pictures from the World Cup in Eaubonne, France 2008. Along with a song that I wrote. 4:49 Min. Schaut euch mal den jungen Mann an. 3:41 Min. Dieter Thiele im Doppel mit Carletta 7:51 Min. 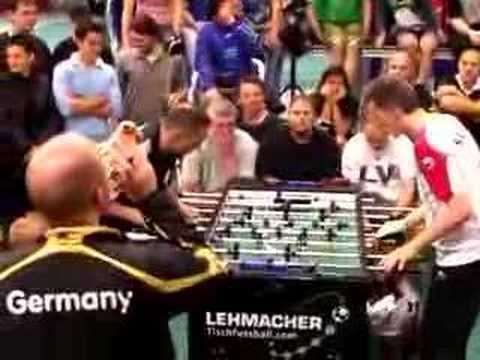 Die Berliner Soccer Monkeys erkämpfen sich aus einem 6:16 Rückstand das 16:16 und besiegen im zusätzlichen finalen Doppel Happy Billiard München! 0:47 Min. 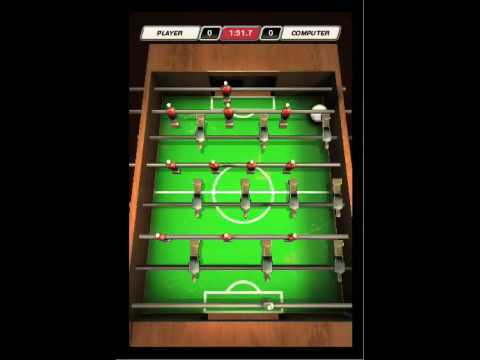 Foosball 3D application for the iPhone and iPod Touch. 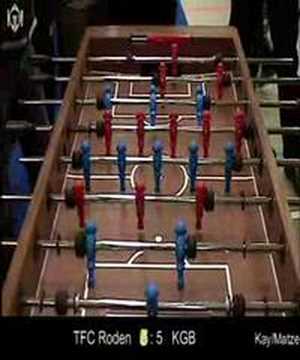 The most realistic foosball game to this platform. 3D graphics, real physics. Soon in APP Store. 1:33 Min. This animation was rendered in cinema4d for a contest called warp10 challenge. Hope you like it. 3:03 Min. 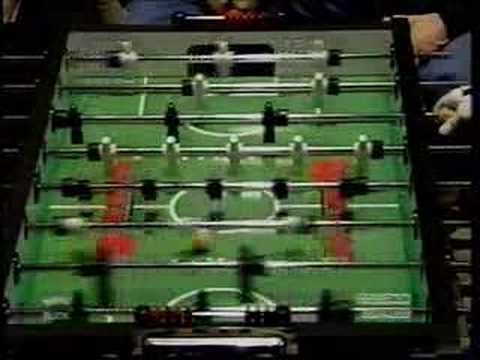 Music video of the 2005 Hall of Fame Classic Foosball Tournament in Las Vegas. Video produced by Anthony Franze. 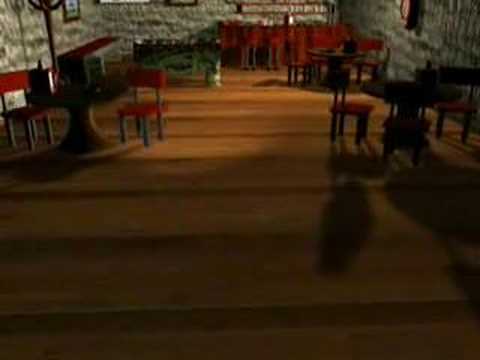 Song (c) blu Magoo (Chicago band), entitled, "Coming Home." Tony Perisich, Don Stolte, Doug McCabe, Chuck Szypura. 5:51 Min. 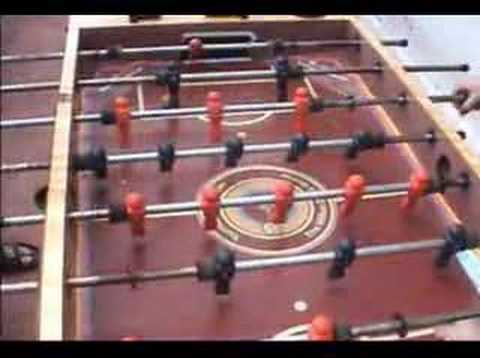 Red Lobster Foosball Party (Leigh's House) - 07.30.06 3:42 Min. 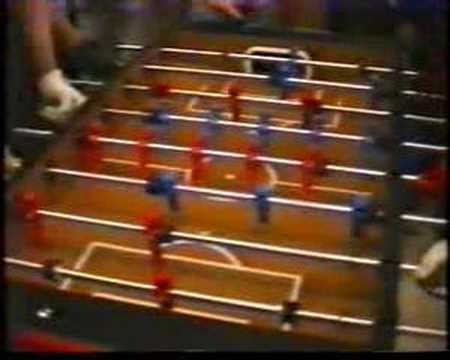 A game back in Honduras on a Tournament Soccer table, back on the days when I had no shot. 4:03 Min. 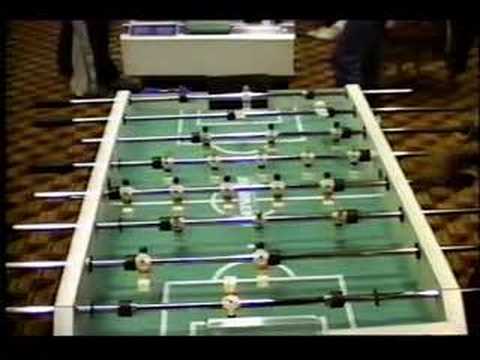 Featuring some of the top pros in the world this set is the most comprehensive foosball set ever created. 2:50 Min. 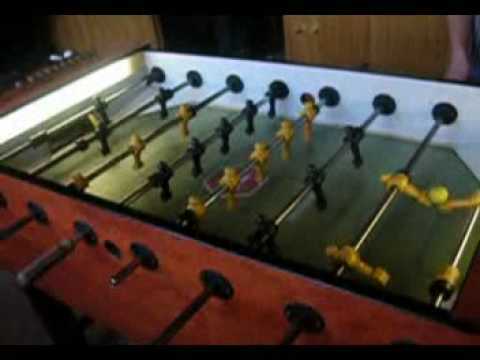 Foosball foos fotbalek rosengart senkrov?áci 3:53 Min. 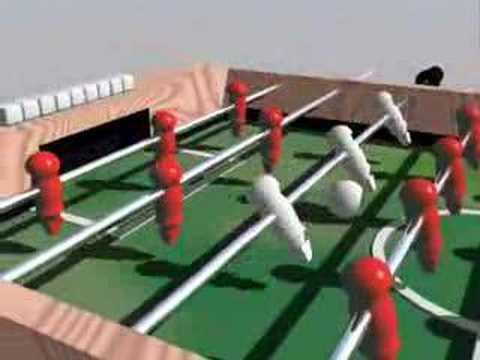 video about foosball animated on Daz Bryce 2:31 Min. Stupid video we made out of boredom 3:10 Min. 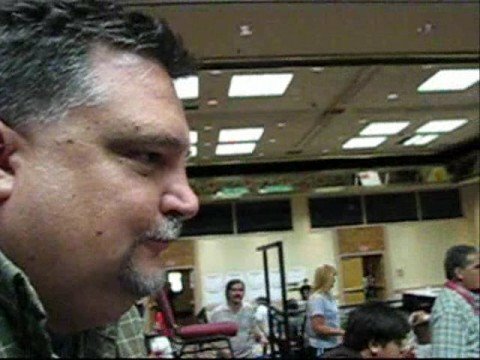 Friday Night Walk Around at the 2008 Tornado World Championship Series of Foosball in Las Vegas, Nevada. part 1 of 2 5:19 Min. 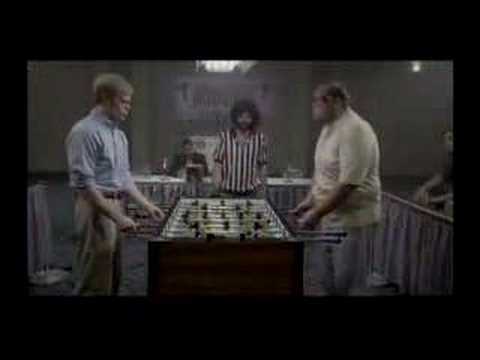 Friday Night Walk Around at the 2008 Tornado World Championship Series of Foosball. part 2 of 2 9:56 Min. 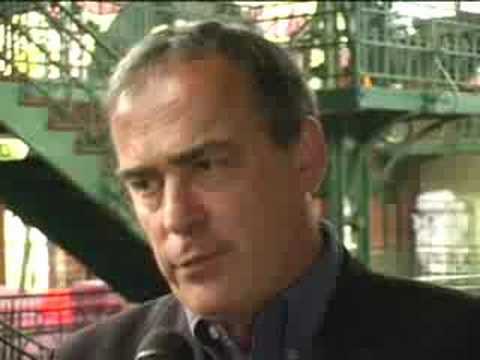 erster Teil eines 4-Teiligen Berichts der Tischfussball Team Weltmeisterschaft 2006 in Hamburg vom Internet Sender Altona TV 4:47 Min. 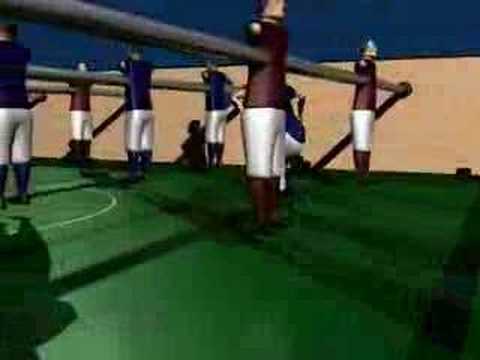 Zweiter Teil eines 4-Teiligen Berichts der Tischfussball Team Weltmeisterschaft 2006 in Hamburg vom Internet Sender Altona TV 6:40 Min. 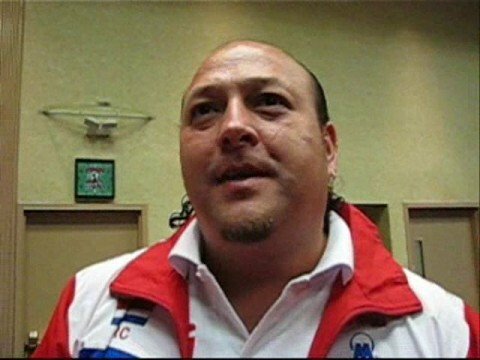 Dritter Teil eines 4-Teiligen Berichts der Tischfussball Team Weltmeisterschaft 2006 in Hamburg vom Internet Sender Altona TV 3:41 Min. 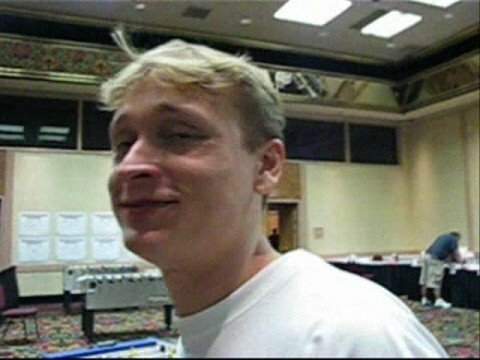 Vierter Teil eines 4-Teiligen Berichts der Tischfussball Team Weltmeisterschaft 2006 in Hamburg vom Internet Sender Altona TV 5:44 Min. Das ganze Video ist ja schon saugeil, aber am Besten ist mit Abstand der Jahlalabad... 0:31 Min. 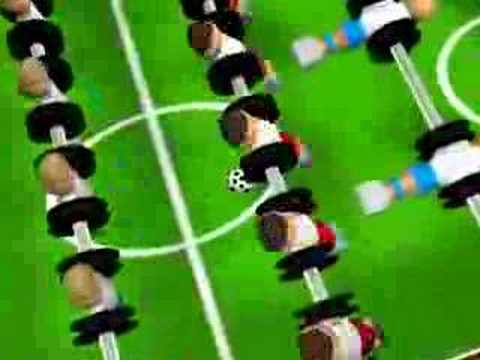 Tablesoccer Jet shot cross! 0:03 Min. 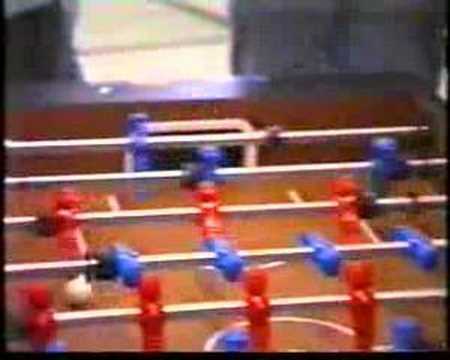 Tablesoccer Jet shot down! 0:02 Min. 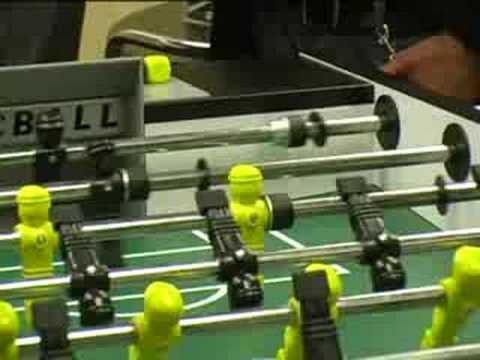 Collection of pictures from IFP/Warrior Kentucky State foosball tournament set to music 7:12 Min. 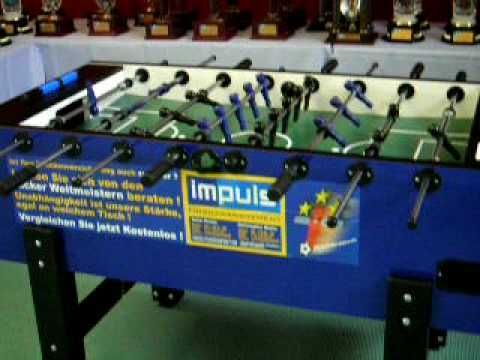 Kickern Foosball Babyfoot Tischfussball Tischfußball Krökeln Trick Shots Collignon Leonhart P4P Tablesoccer KGB Hannover 3:50 Min. 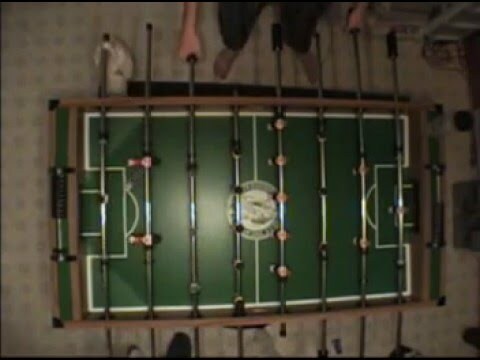 Kickern Foosball Babyfoot Tischfussball Tischfußball Krökeln Trick Shots Collignon Leonhart P4P Tablesoccer KGB Hannover 2:22 Min. Zwei Standardvarianten eines kontrollierten Einwurfes am beispiel eines Löwen-Soccertisches 1:16 Min. Matchball vom WM-Halbfinale ITSF World Cup 2006 in Hamburg beim Spiel Deutschland gegen Belgien 2:24 Min. 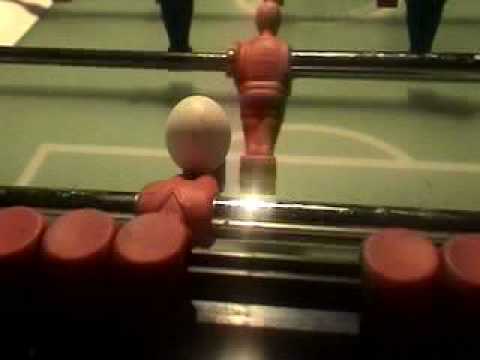 Foosball is really hard to get good at and takes a lot of practice. 0:48 Min. 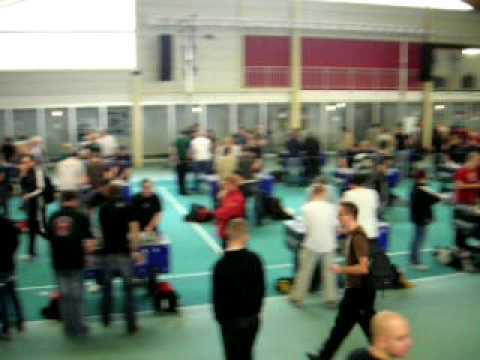 Short montage made from footage taken during practice sessions at the 2008 European championships in Gaüfelden Germany (near Stuttgart). 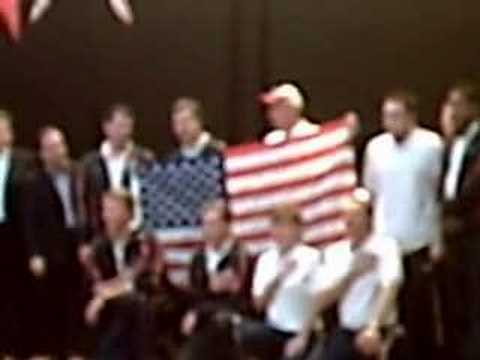 Song is "she's trying" by "Dance hall crashers"
My foos forum (in french) : http://www.flash-2000.ch/forum-baby/Baby/index.php 3:17 Min. 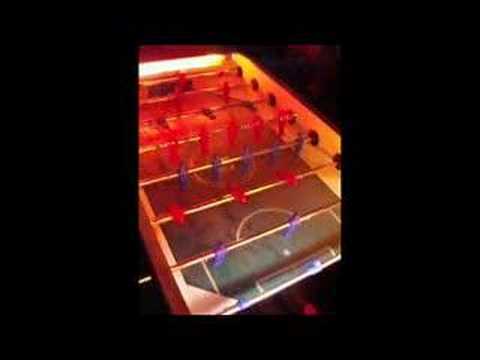 Discothek Druckluftkammer Koblenz 0:29 Min. 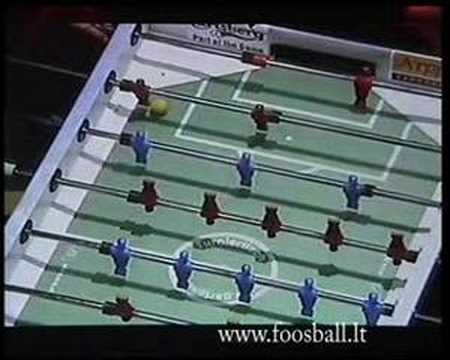 Tablesoccer Pinshot down! 0:05 Min. "so schreibt man bonzini...". 0:31 Min. 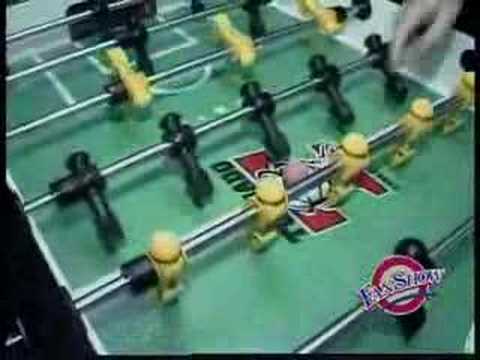 ST Louis Foosball on TV. 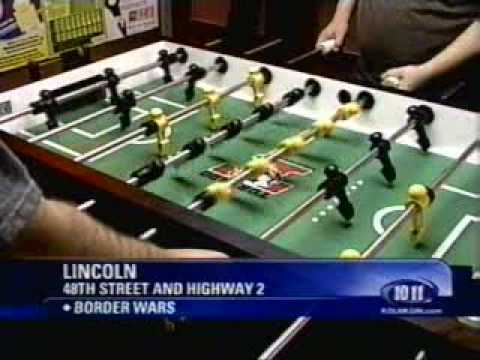 St. Louis Foosball on local sports show 2:01 Min. 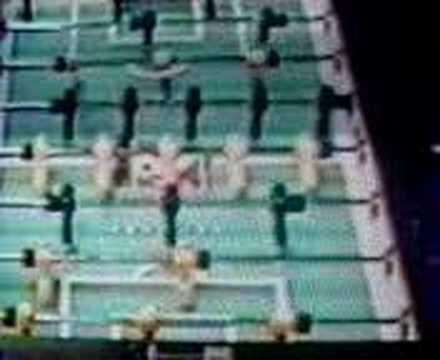 Small video on some basic table football moves, made for www.supo.be. Song: http://www.youtube.com/watch?v=TSxFmH03a4o 1:25 Min. 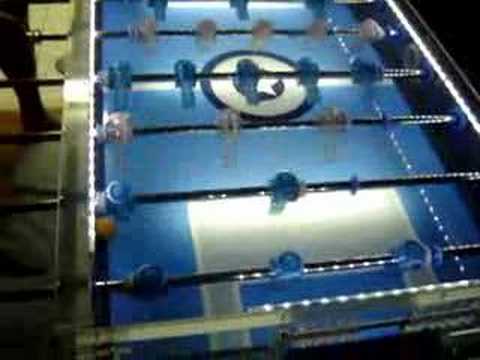 U-Turn Christmas Party Table Football 6:42 Min. 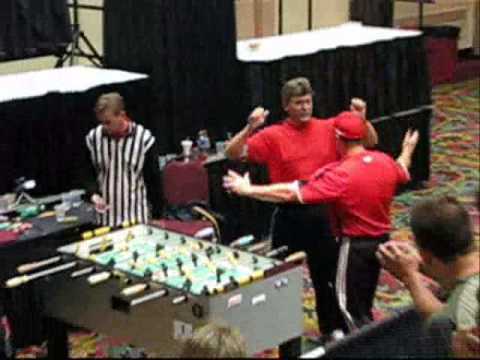 Team Ceremonies at the 2008 Tornado World Series of Foosball in Las Vegas, Nevada. 9:58 Min. 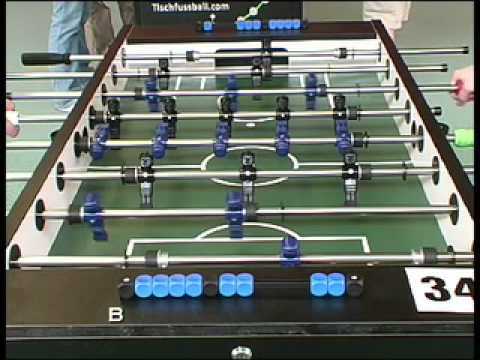 The Open Doubles Finals at the 2008 Tornado World Championship Series of Foosball in Las Vegas, Nevada. Featuring Fredrico Collignon & Todd Loffredo vs. Dave Gummeson and Tracy McMillin. 9:32 Min. This video is from the Labor Day weekend in 1986. 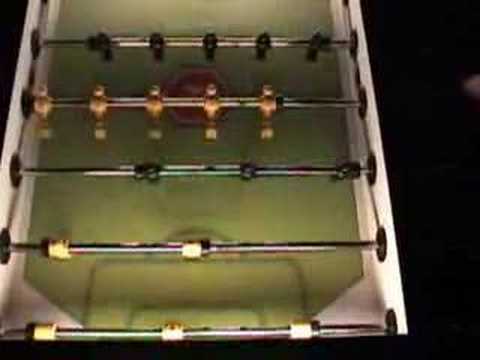 It was the weekend that Johnny Lott intruduced his new Striker foosball table in Long Beach, California. Very impressive shots! 2:43 Min. 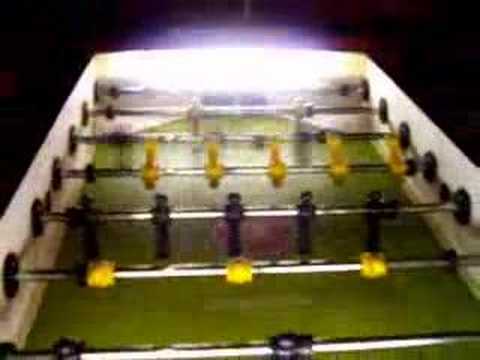 http://www.warriortablesoccer.com - Warrior Table Soccer 29:01 Min. 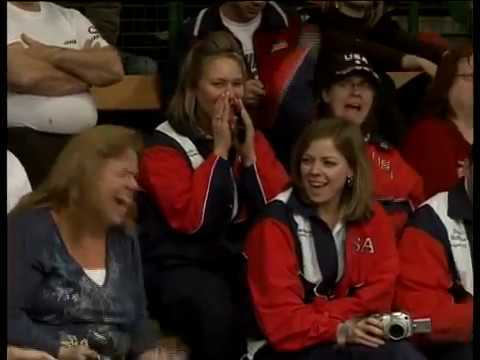 Wir waren 1998 im Finale der tischfussballweltmeisterschaft und mussten gegen die starken Amerikaner spielen und gewannen als erste europäier das Finale klar...wegen einer groben unsportlichkeit seitens der Amerikaner verzichteten wir auf eine gute Plazierung im amateur doppel und siegten souverän im rookie doppel...die freude war sehr gross...bei einem 256 feld ..2500 Spielern sowie 12500 Zuschauern ...ein grosses Erlebniss!! 5:52 Min. 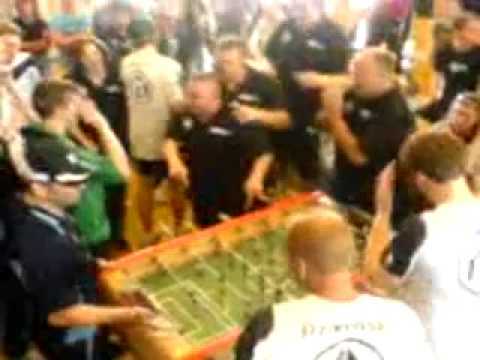 WM TischFussball 2008 in Stuttgart 0:40 Min. 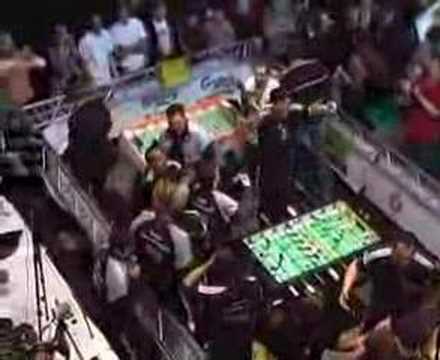 WM TischFussball 2008 in Stuttgart 0:34 Min. A taster of the incredible and epic 4.5 hour! 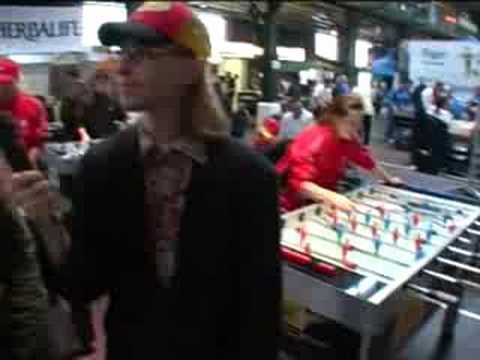 match between America and France at the Foosball world cup in hamburg and which went to extra players after full time and extra balls and could not have been closer! If you want to see more get the inside foos DVD coverage as this will be proffessional! 2:01 Min. Tom Yore of the USA and France's Paul Nunes faced-off in this exciting singles confrontation during a big World Cup quarterfinal. To view the complete France vs. USA match go to www.insidefoos.com and order the 10 hour DVD set. 9:47 Min. Deportivo Coruña Celta de Vigo 1:00 Min.